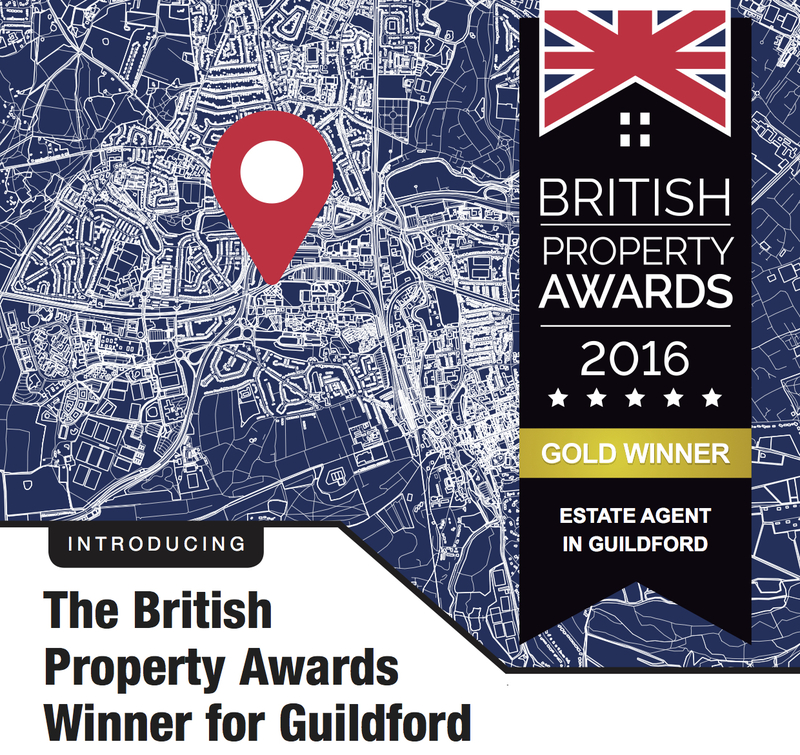 Seymours Guildford branch have just won The British Property Award for Guildford and have been shortlisted for both regional and national awards which will be announced on 9th September at our lavish ceremony due to be presented by Martin Roberts from Homes Under The Hammer. The British Property Awards provides agents throughout the UK an invaluable opportunity to compare the service that they provide against the service provided by their local as well as regional and national competition. Agents who go that extra mile and have outstanding levels of customer service are rewarded with our accolade which acts as a beacon to highlight these attributes to their local marketplace. The British Property Awards are one of the most inclusive estate agency awards providers as we do not charge to enter. This has resulted in significantly more agents entering our award and enables our team to cover a higher proportion of the local marketplace. Our team personally mystery shops every estate agent against a set of 25 criteria to obtain a balanced overview of their customer service levels. The judging criteria is both comprehensive and detailed exploring different mediums, scenarios and the time periods to ensure agents have been rigorously and fairly judged. Robert McLean who owns The British Property Awards said "Our awards has been specifically designed to be attainable to all agents, removing common barriers to entry such as cost to ensure that we have the most inclusive awards. Our award has also been designed to remove any opportunity for bias or manipulation , if an agent has won one of our awards it is simply down to the fantastic customer service levels they have demonstrated across a prolonged period of time. Any agent that has been attributed with our award should be proud that their customer service levels provide a benchmark for their local competition"